It is definitely Summer in Alabama!! Hot, hazy, and humid ~ very thankful for air conditioning ;). 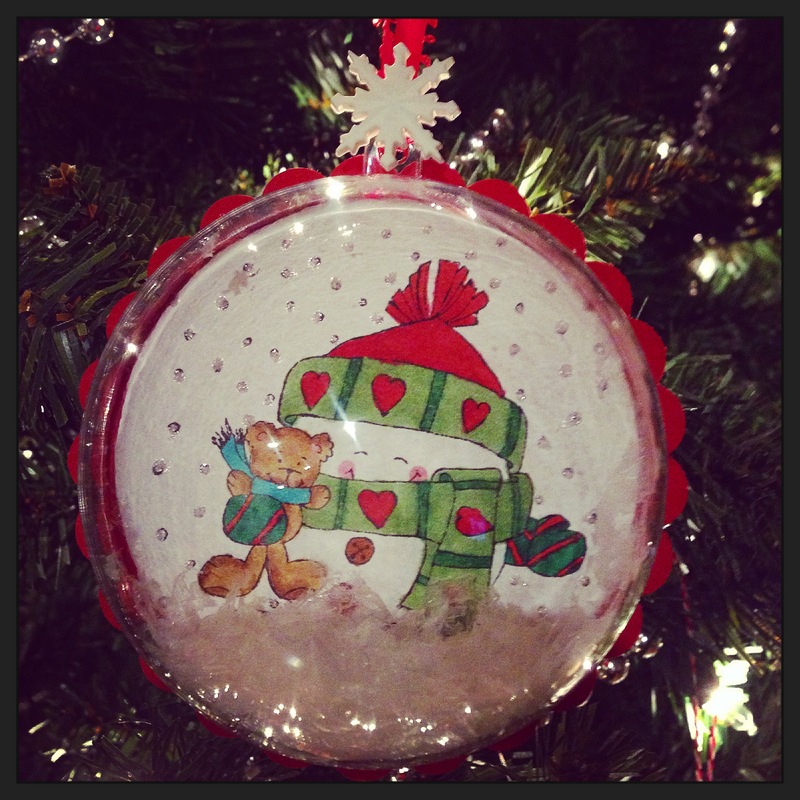 I thought I’d try to cool off a little with thoughts of Christmas and share these fun ornaments. The snowmen images are Snow Peeps from Unity Stamp Company. I have to admit I have a whole collection of these stamps. They are just so cute that I couldn’t decide on just one :). Stamp snowman on white card stock. 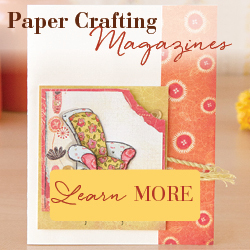 Color and punch out with circle punch. 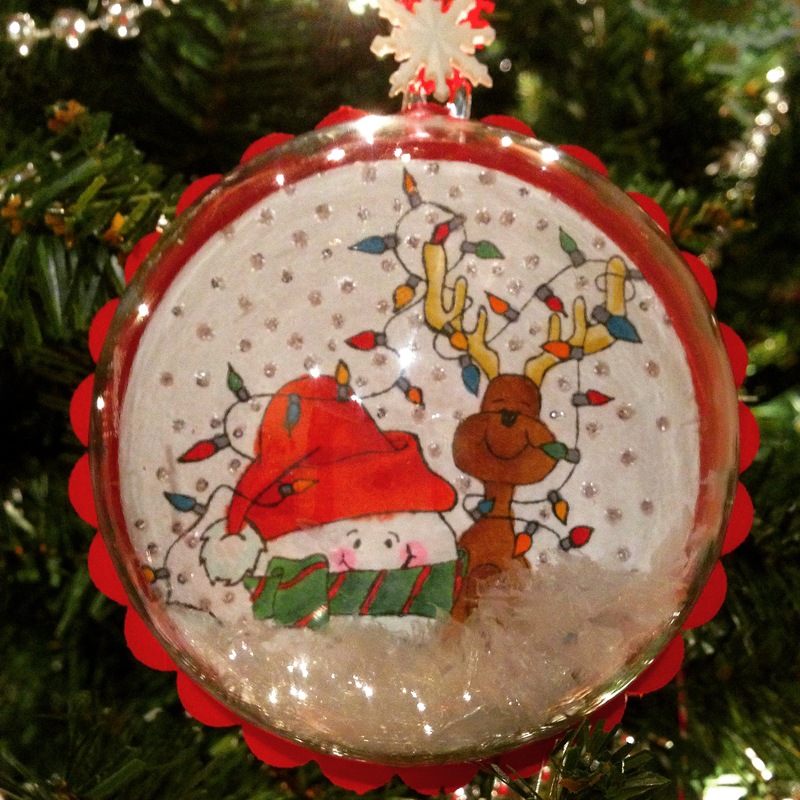 Punch out scalloped circle from colored card stock and attach stamped circle to this piece. Accent with glitter glue, if desired, and let dry. Put a small amount of artificial snow in half of the ornament. 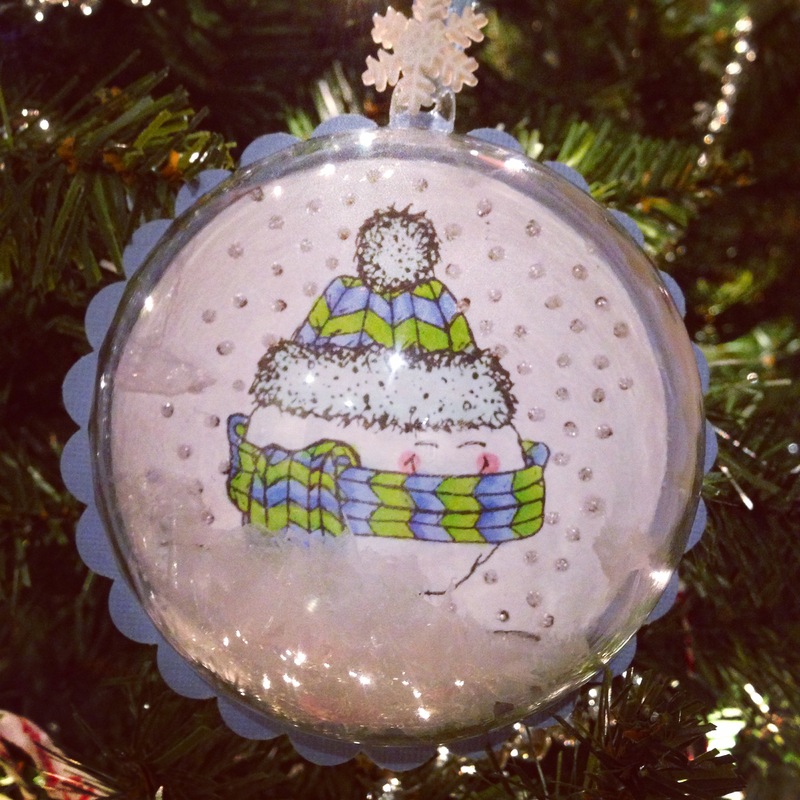 Put a thin bead of glue around the edge of the ornament. Carefully place the scalloped circle on the ornament, keeping snow inside and making sure the snowman’s head is lined up with the top of the ornament (don’t ask!!). Let dry. Thread snowflake button onto ribbon and tie onto ornament for hanging. These are so cute on your tree, but you could also use them on a wreath or garland. Maybe personalize them for all of your favorite peeps! Happy Christmas in July! !